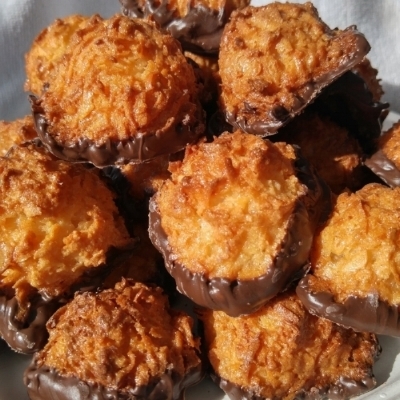 Our coconut macaroons are what keep people coming back. Hands down one of the best things we make at Short 'N Sweet, these macaroons are crunchy and gooey and GLUTEN FREE! Bite into their delicious toasted coconut outer crust to reveal their ooey-gooey center and they will make you a coconut convert. Normally dipped in dark chocolate, they also come in white chocolate and dark chocolate caramel. We are always working on new flavor combinations so if you have any special requests, let us know!